Happy Monday! Today has been a rather lazy one for me, despite the fact that there are quite a few things that need to be tended to and the weather is pretty great for a nice brisk walk. Alas, here I sit, trying to fight whatever it is that I seem to be coming down with. I am watching an older episode of Supernatural while debating with myself. Today's debate topic: should I attempt to make and eat something for lunch or just continue to rest before running out to pick up the kids from school? How is your Monday going? If you're in the mood for some shopping, you can visit my e-store. Be sure to use the code FANFAVE for a free 6-Piece Gift Set with your $50 order! If you have any motivating words for me, I'd appreciate them, so be sure to leave a comment! I know, I know, it's been a while. The Wigglesworth family has been pretty busy, and that means this Mama has been running around and not keeping up with a few things, including her blog and some gray hairs. Thankfully, I am my own boss, so I don't really have to "answer" to anybody, but I do feel a little guilty for not keeping you guys updated on all the awesomeness that has been happening behind the scenes. First, D & R (my girls) have started a "Annie the Owl" fundraiser to benefit the Ronald McDonald House of Connecticut. They have set a goal of 100 owls to be sponsored and delivered (along with 45% of the proceeds) to RMHC and are well on their way. Next week, we will be standing outside of a local Stop and Shop, working to get closer to that goal. 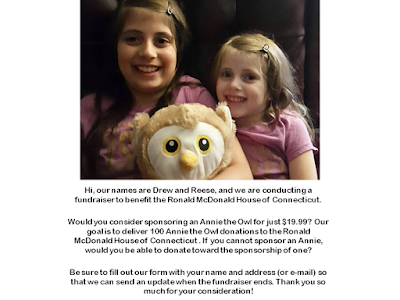 If you'd like to sponsor (or donate toward the sponsorship of) an Annie the Owl, you can CLICK HERE and enter the dollar amount you wish to donate. Be sure to "write a note" with your e-mail or mailing address so that we can send an update once the fundraiser ends. In addition to helping with the fundraiser, I have been a little more active in the community, setting up tables at a few vendor events. I am still looking for a few local events for the rest of October, a few for November, and a few for December. If you are in the Connecticut area and know of any events looking for an Avon representative, let me know! Today, you can receive 20% off your $50 order with the code FRIENDS at my e-store. That's not all! Tomorrow through October 29th, you can get a free Fall Smoky Eye makeup set ($44 value) with an order of $55 and the code SMOKY ! How Much Product Do You Really Need? This handy guide, created by Makeup.com, was shared in a group I follow on Facebook. I knew the right "serving sizes" for a few products (shampoo and conditioner), but I was pretty surprised by a few of them, the sunscreen and moisturizer in particular. Looking at this list, do you feel like you are using the right amount of product? Will you be changing your ways now that you know? Avon 8-Piece Sample Set for You! Good morning! There's another great offer for you today, from Avon. When you shop my e-store, you can get this 8-piece sample set for FREE with your $50 order. Just enter the code TRYIT during checkout. Shipping (standard) will also be free! -True Color Eyeshadow Quad in "Naked Truth"
Vegas and Free Shipping Baby! Last week, thousands of my Avon brothers and sisters attended our national conference in Las Vegas. I wasn't there in person, but I was in spirit, and let me tell you.... some AWESOME things are coming to Avon and soon! Now, I'm sure you are wondering how I could possibly know, if I didn't attend? Well, my Avon brothers and sisters are the best, and they shared lots of pictures, live feeds, and updates during their time in Vegas, so, I know! My girls LOVE Shimmer and Shine! My daughter is a huge Star Wars fan, so I know she is going to flip over these. My other daughter loves Paw Patrol, so she will be excited for these products! A peek at the upcoming holiday cover of Avon Living! There were so many pictures, so I just shared a couple of my favorites. While I'm a little bummed I wasn't in Vegas this year, I am looking forward to attending the conference next year. Now, I just have to wait for the announcement of where it is going to be! While you are waiting to shop for some of the products shown above, you can visit my e-store today to shop the current brochures! You get FREE SHIPPING on your order of $25 when you enter the coupon code: FS25 at checkout. Happy National Lipstick Day Plus a Coupon Code for You! It's National Lipstick Day! Although I don't wear it much nowadays, I can remember a time in my life when I NEVER left the house without it. It started in middle school, I loved bright red, because I had heard it was the favorite of one of my then celebrity crushes. 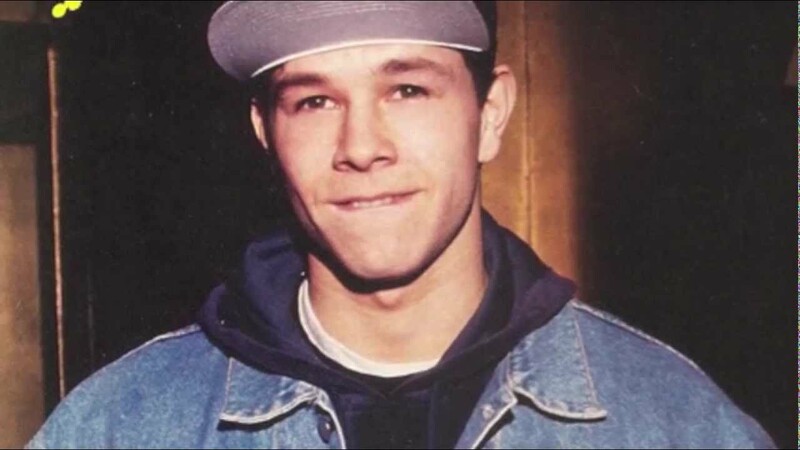 When Mark Wahlberg was known as "Marky Mark"
I don't remember which shades I wore in high school, but I'm pretty sure I ended up "retiring" the red for colors that were a little less bold. At that time in my life, putting on lipstick was so high on my list of priorities for getting ready to go anywhere, that I wouldn't even go to the hospital (via ambulance, long story) without putting it on! Now, I wear mostly glosses, and usually only to church or special work related functions. It's so weird to look back. I remember thinking, at the time, how bizarre it was that my mother could go out without putting lipstick on first. Now, I look back and wonder when it started becoming less important to me that I wear it. To wish you a Happy National Lipstick Day, AVON is offering a FREE Glam Bag that comes with a Perfectly Matte Lipstick in Ravishing Rose and a Glimmersticks Lip Liner in Rose Bouquet when you place an order of $50. To take advantage of this offer, visit my my AVON e-store and enter the code LIPS during checkout. Are you a lipstick lover? Which is your go-to brand/color? Join the conversation on Facebook and be entered to win a prize from me! Prepare for Back To School While Still Enjoying the Awesomeness of Summer! I cannot believe that August is so close. Both girls will be going to school in just a few weeks, and that leaves us both preparing for school and soaking up every last second of summer fun that we can. 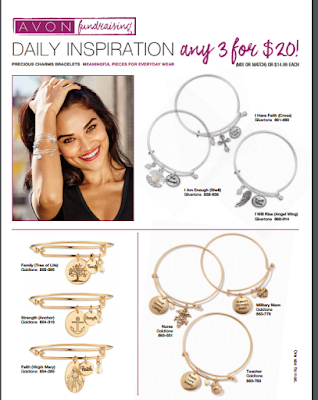 AVON has some great products in the newest AVON Living brochure, just in time for back to school! If Minnie Mouse isn't the right fit for your child, don't fret, we have quite a few character backpacks to choose from including Teenage Mutant Ninja Turtles, Frozen, and Spiderman! Don't forget the Bento Box Container Set with Utensils for kiddos who, like my Drew, don't do school lunch! Today, when you place an order of $55, you will receive a FREE Tote by using the code BEACH at checkout. If your order is not quite $55, you might miss out on the tote, but you can still get FREE Shipping on your order of $25 by using the same code (BEACH) at checkout. This offer expires Midnight (Eastern Time) on 7/28/2016. DIRECT DELIVERY ONLY and WHILE SUPPLIES LAST. AVON reserves the right to substitute any free item offered with an item of equal or greater value. Limit of ONE per order. The tote is not available for individual sale. Avon in the News and Some Coupon Codes For You! Here are some of the great AVON items you'll find featured in a few of your favorite magazines! -People StyleWatch featured Big and Multiplied Mascara. Did you spy any of these Avon products in your favorite magazine? July 26 (Today)- FREE SHIPPING on your order of $25. To take advantage of this offer, enter the code SHIP2U during checkout. July 27-28 (Wednesday and Thursday)- Get a FREE BEACH TOTE with your $55 purchase. To take advantage of this offer, enter the code BEACH during checkout. July 29 (Friday)- Celebrate National Lipstick Day! Get a FREE Glam Bag, a Perfectly Matte Lipstick in Ravishing Rose and a Glimmersticks Lip Liner in Rose Bouquet with your $50 purchase. To take advantage of this offer, enter the code LIPS during checkout. Happy Friday! 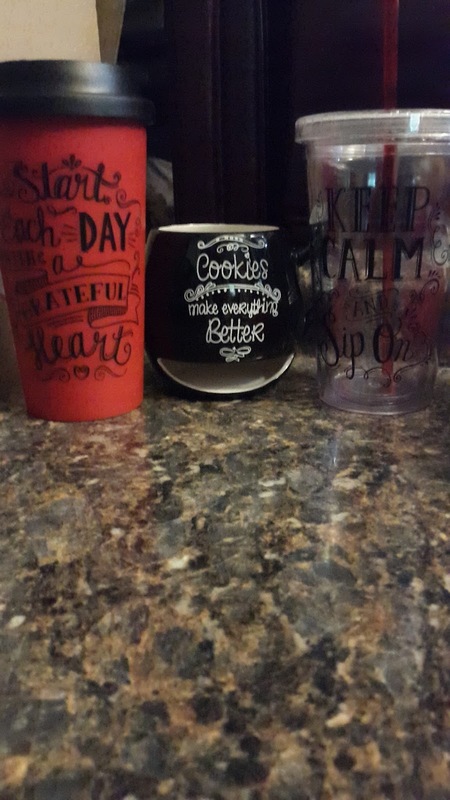 This weekend, 2 lucky winners will receive either a Milk and Cookies Lover Mug or a Travel Mug and Tumbler Set just by placing an order of $50 or more at www.youravon.com/beautyrepv. The prizes will be shipped out after your Avon order arrives, but winners will be selected and e-mailed (so be sure you include a valid e-mail address when you register)by Wednesday July 27th. Good luck and enjoy your weekend! Fundraising Can Be a Beautiful Thing with an Avon Fundraiser! Over the last few years, we have received countless flyers from school fundraisers. I like fundraisers (who doesn't want to help support their child's school? ), but after 4 years of seeing almost the same exact fundraisers used time and again (you know the ones with knick-knacks/candy/wrapping paper/candles etc. ), you run out of things to convince yourself and others to buy. One of the things I like most about fundraising with Avon is that the variety of products offered appeals to almost everyone. Organizations can raise funds by selling assorted bath and body, makeup, fragrance, and jewelry items. Avon's reputation makes fundraising simple, since most people are already familiar with the brand and many of the products. Another great thing about Avon fundraisers is that anyone can host one for any reason. While many of the fundraisers I have conducted were for schools and other tax exempt organizations, I have conducted a few to raise funds for individuals who have fallen on hard times. Schools, churches, sports teams, and individuals can all benefit from hosting an Avon fundraiser. If you need to raise funds, I think an Avon fundraiser is a great way to do so. You can earn up to 40% of sales when you host a fundraiser with me. If just 20 members of your organization have 10 customers each purchasing $15, your organization will earn $1200. It's THAT EASY! If you think you might be interested in hosting an Avon Fundraiser, contact me via e-mail at BeautyRepV (at) gmail (dot) com or by filling out the contact me form on this page. I will send you the current Avon fundraising flyers, we can discuss what your goals are, and then go from there! Is it just me or did June just cruise right on by? I just wanted to wish you all a very happy, healthy, and successful month of July. Don't forget to treat yourself once in a while! Today is National Sunglasses Day. I've never heard of it before, but I can't think of a better way to celebrate than ordering these Breast Cancer Pink Ribbon Sunglasses from Avon. You get a great pair of sunglasses and for each pair purchased, $2.80 is donated to the Avon Foundation for Women to support Avon Breast Cancer Crusade programs across the United States! Place your order today and if you are a first time shopper, use the code WELCOME to enjoy 20% off of your $50 order and Free Shipping! 5 Things I'm So Glad I Got From Avon! Hey all! It's been a while, but this Momma has been super busy the last few weeks. I've also had a pretty severe case of "bloggers block", but I am better now! I decided to come back to you with a short list of products that I ordered for my own personal use, because of course I love Avon, and to share why I'm glad I got them. 1. Avon's Gel Finish 7-in-1 Nail Enamel. We ordered a few shades for the summer, including "Mint to Be" and "Teal Me About It". I love how easily it goes on, how great it looks, and how long it stays on without chipping or cracking! It's currently available at a pretty great price and you can get a free clear top coat if you order 3. We Painted Drew's Nails in the "Teal Me About It" Shade. 2. Anew Vitamin C Brightening Serum . If you know me at all, you know that I am great at starting routines, but not so great at keeping up with them. 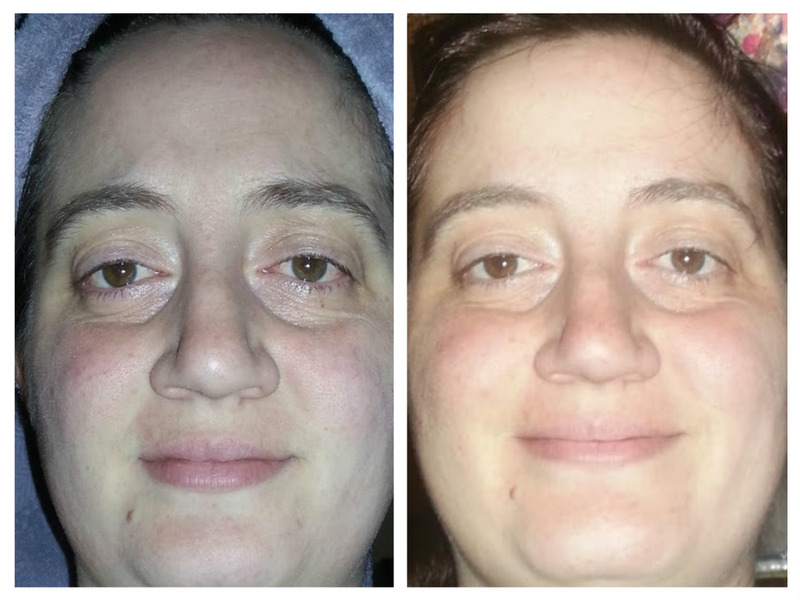 Once I started using the Vitamin C serum and noticed a difference in the appearance of my skin, I was hooked. I've been using this, at night only, for a few weeks, and I absolutely love it! My before and after. I was only using it for 10 days at this point! 3. Avon Senses Starfruit and Coconut Collection. I love all of our shower gels, but honestly I wasn't too sure what to expect from this one. I mean, I've never really smelled a starfruit before. I ordered this scent as part of a special deal for representatives, and I LOVE it. Aside from the peach scent that was sold when I was much younger, this is my all time favorite. It reminds me of Summer days at the beach and invokes happy memories when I use it. 4. Avon's Skin So Soft (Original). I cannot remember a time when there wasn't a bottle of this stuff in our house. When I was younger, my mom used it for everything, including as a bug repellent. Now as an adult, I also find various uses for it, including getting crayons off the wall and loosening screws. Once in a while, I'll go totally wild and use it for its intended purpose! As a rep, I was able to order a demo for myself. So far, I've only used the purifying gel cleanser and the brush, and I highly recommend grabbing both as soon as you can. This line will be introduced in campaign 15 and you will be able to order yours online through my Avon e-store, this time next week. I want to hear from you! What are some things that have caught your eye in a current Avon brochure? If you haven't seen a current brochure, you can view it online by clicking the "Current Avon Brochure" link at the top of this page. If you'd like to request a FREE brochure, fill out the "Contact Form" on the right hand side of this page.